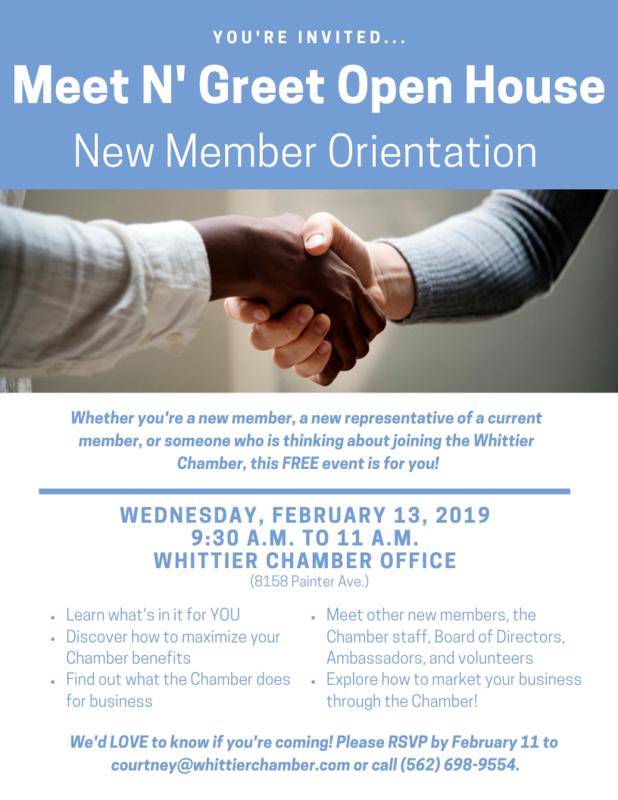 New to the Whittier Chamber? Need a refresher course on how to make the most of your chamber membership? Join us for a Meet 'n Greet Open House & New Member Orientation on Wednesday, February 13. This event is free and open to the public, all prospective members are encouraged to attend and bring a friend. Attendees will enjoy getting to know the Whittier Chamber staff members, volunteers and board, learning more about programs and services available through chamber membership, and can enjoy refreshments and business networking at the conclusion of the event.